These are archive paintings. They are no longer available. 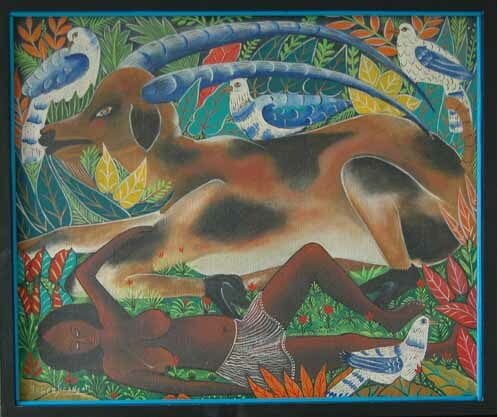 Roger Francois was born around 1928 in Petite Riviere, on the Artibonite plain of central Haiti. He began as a wood sculptor and still carves occasionally. 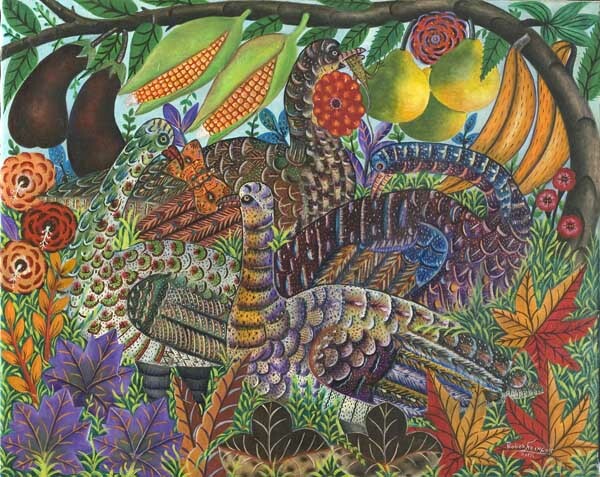 He has been painting as well since the early sixties. 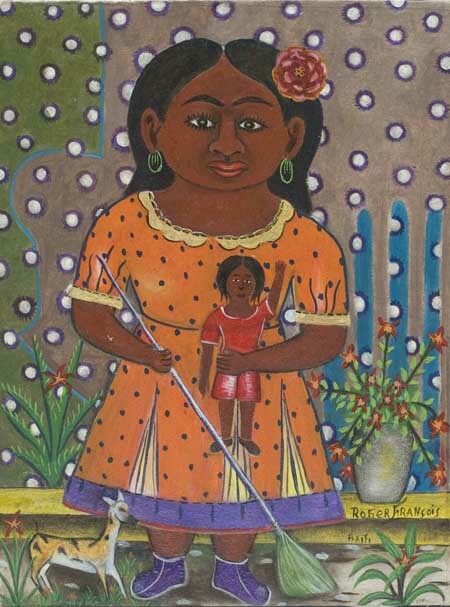 He loves to paint and sculpt Haitian women, both nudes and market women with baskets and braids. Besides women, M. Francois paints animals: cats, dogs, horses and owls, and in the early 1990’s, began painting sun and moon heads on human bodies. He also does an occasional surreal voodoo painting. His style is robust, bold and always fresh and new. He is a charming, explosively good natured man . A painting of his hangs in the National Museum, Brussels, Belgium and another was exhibited in the show of Geoffrey Holder’s collection, "Spirits" at the Katonah Museum of Art, (NY) in May 1991. His work has appeared in books and museum shows internationally. 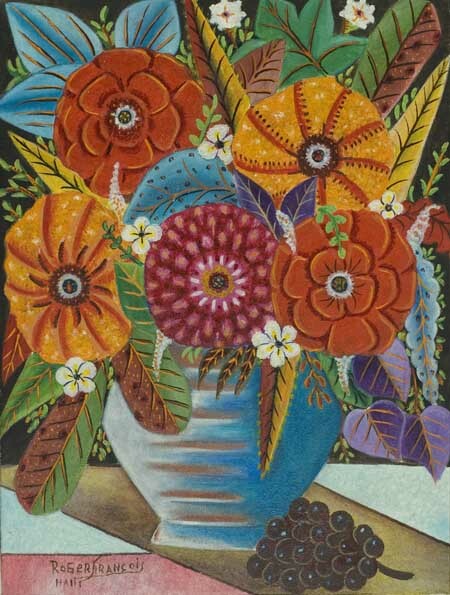 He is one of Haitian art's best kept secrets. 2010 $750 framed in painted wood. 2010 $225 Framed in painted wood. For work that is available, click here.